bebop spoken here: Southport Jazz Festival - Seamus Blake Trio. February 4. 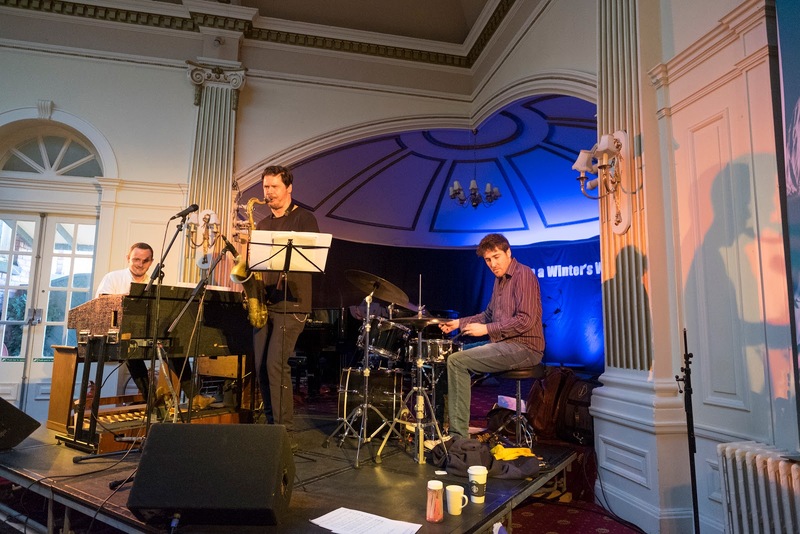 Southport Jazz Festival - Seamus Blake Trio. February 4. (Review by Steve T/Photo courtesy of Neil Hughes). I wanted to get this one in ‘cos they're playing the toon (ed. Black Swan, Newcastle) 0n Tuesday night (Feb. 7). 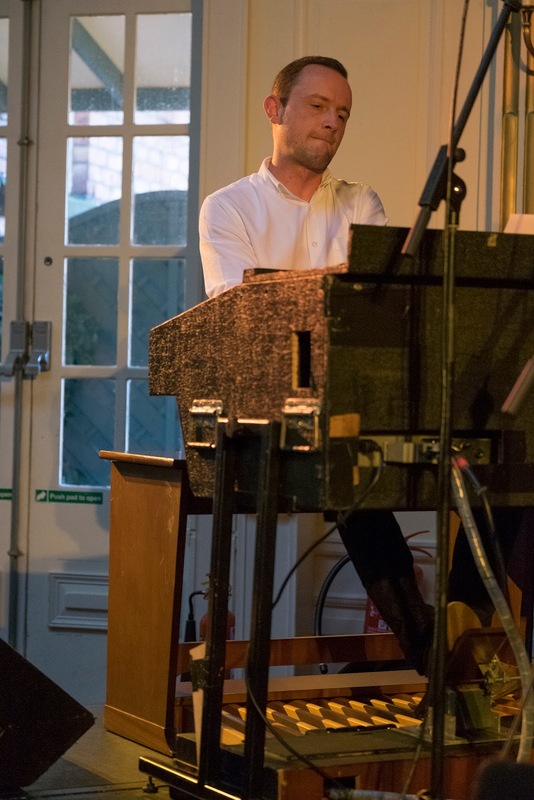 Seamus Blake was the first of three consecutive ace reeds men on the Saturday of this exceptional little festival, with a couple more due the following day. A glance through the programme may look like it was a little sax-heavy, but it's a bit like saying there are too many guitarists at a rock festival; and when they're of this calibre! Accompanying him on Hammond is the one and only Ross Stanley, and I'm not even going to attempt to find a superlative which hasn't been used to describe him. Last seen in the North East with Nigel Price, anybody from the region who hasn't seen him and isn't planning a trip to the Swan tomorrow night should expect a knock on the door from the Jazz Police. Drummer James Maddren was a familiar face but an exchange of names didn't confirm any previous sightings. 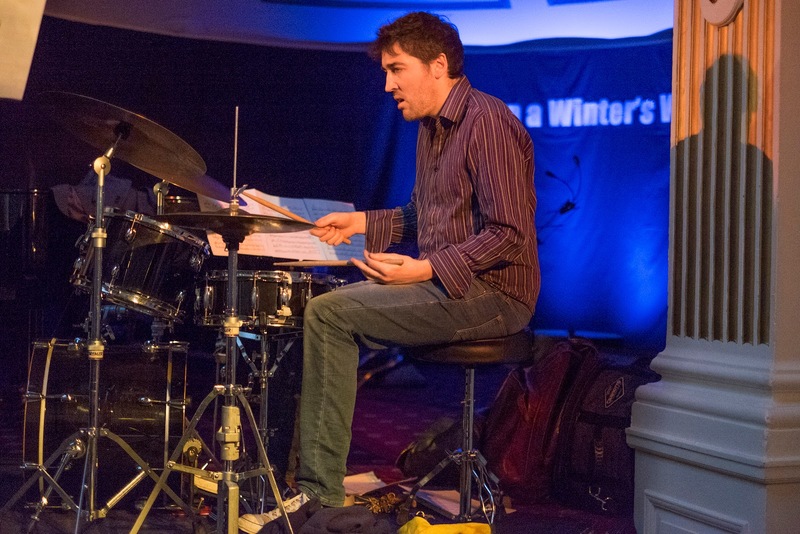 With so many great drummers on the scene, it's hard to keep track of them, but he's ideal for providing an extra dimension to the Hammond trio, a format I love, whether sax, guitar, trombone. The leader observed that the only 11am gigs he'd ever played were from the night before, but a more or less full house of mostly seniors made the effort and were justly rewarded. The first two pieces were vaguely familiar but I've never been very good at 'name that tune', particularly with so many references flying around, but I don't get OCD about it and just enjoy the ride. I'm not too troubled by who wrote the melody the artist took and worked their magic on. The leader almost forgot the drum solo in the second piece but luckily he realised in time. Mingus used to say a solo should be like a conversation and here was an abject lesson. You don't say everything all at once but start with, hello...how are you?..and gradually the sentences get longer and nuance, mood and inflection come into play which can all come to a sudden, abrupt ending. Rapturous applause and the first tentative cheers as the leader told us it was Willow Weep for Me - course it was. Next, we got The Song that Lived Inside which the leader wrote for Sue Mingus, who he knew through his time with the Mingus Big Band. A lovely ballad with some church organ sounds and great use of volume from Ross. Sagittarius, and his name is Seamus, as they floated into The Jupiter Line for the final piece of the first set. Not being OCD also means you don't need to hear every note and can get to the bar ahead of the queue. What to expect from the second set? As the recently deceased Nick Parfitt of the Mighty Quo said, it's the same musicians playing the same instruments. It's astounding what highly skilled musicians can pull out to reinvigorate something to keep it fresh and interesting. Afterwards somebody said it was 'straight-ahead', which was a compliment and I suppose it was in a way - say - mid-period Trane is mainstream but, but whether you like it played straight or pushing boundaries, there's plenty here to appeal to anyone with any interest in Jazz, or just sheer musicianship, so no excuses North East. God Only Knows by the Beach Boys means different things to different people but for me, it means another trip to the bar. Back in time for a sprint to the finish by the drummer and the polite crowd have turned into a rowdy rabble. Just three musicians into the festival and the bar is already set scarily high.